…involves helping children to develop a positive sense of themselves and others; to form positive relationships and develop respect for others; to develop social skills and learn how to manage their feelings; to understand appropriate behaviour in groups; and to have confidence in their own abilities. All children at Southernwood are treated as individuals with their own particular needs and strengths. Staff act as exemplary role models and are lavish with praise and encouragement. We offer frequent opportunities for adult support in social development for instance positive ways of solving problems with sharing. 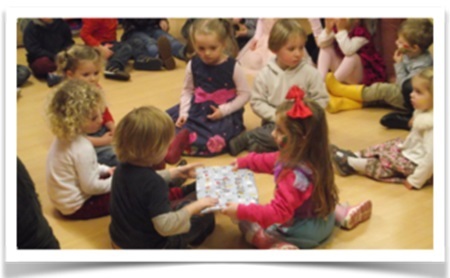 Small children at the start of their nursery education join in simple games which involve turn-taking and at times such as snacks. All children are shown how to behave courteously with each other. Pretend play is vital to a child’s social development, whether it be dressing up, playing in the home corner or playing imaginary games with our dolls house, farm sets, trains, cars etc. The nursery day always includes periods of free choice of play and activities, and gradually, as a child develops, he or she is encouraged to stick at a chosen activity for longer. We encourage and celebrate perseverance and resilience. Children at Southernwood are given adult assistance in all aspects of personal hygiene. Children should wear clothing which enables them to manage by themselves as far as possible. They are taken to the toilet and shown how to wash their hands. They are helped with coats, shoes, etc. if they need it. Much fun is derived when children choose to dress up in our hats and costumes and this also helps them to manage fastenings. Praise is given when they manage, for example, to take off their coat and hang it up, or fasten their own shoes.